Aromatic and fragranced spice powder made with star anise, cinnamon, fennel, cloves and szechaun pepper corns. Its perfect for stirfries and five spice rice. 1. In a heavy bottomed frying pan , dry roast the spices for 2-3 minutes to release the fragrance. 2. Leave to cool for few minutes and then transfer them to a coffe grinder and grind to a smooth powder. 3. Transfer to an air tight jar and use as required. Sweet banana deep fried in a crispy crunchy coating ,drizzled with a flurry of icing sugar. Sunflower oil for deep frying. 3. Heat the oil and when it is hot, dip the banana pieces into the batter and drop them gently into the hot oil. 4. Deep fry the banana fritters on medium heat until golden brown , remove from oil and drain on kitchen paper. 5. Sprinkle some icing over the bananas and transfer them to a serving dish. Creamy, smooth pudding with a delicious coconut fragrance and taste. 1. Add the coconut milk to a sauce pan and heat it up. 2. Add the sugar and agar agar flakes and stir on medium heat untill agar agar and sugar have completely dissolved. 3. Get two ramekin dishes and strain the mixture into them. 4. Leave the pudding aside to cool to room temperature. 5. Once cooled, place in fridge to set for two hours. Spicy aromatic rice stirfried in a chilli garlic Szechaun sauce. 2 cloves garlic cut into thin slices. 1. Heat oil in a wok, when it is hot add the garlic and saute for 30 seconds.Add the onions and saute for another minute. 2. Add the mushrooms and pepppers and stirfry for 2-3 minutes. 3. Add the salt, szechaun sauce and mix well. 4. Add the boiled rice and toss until rice is evenly coated with sauce and vegetables and heated through throughly. 5. Transfer to serving dish. A spicy chilli sauce that is versatile in all oriental stirfry dishes. 10 szechaun peppercorns finely ground. 1. Soak the red chillies in hot water overnight. 2. In the morning drain the red chillies remove stalks, seeds and membrane and chop roughly. 3.Finely chop the red sweet pepper. 4. In a blender jug add the sweet red pepper and the chillies and blend to a coarse puree . 6. Add the blended chilli paste, salt and chilli powder , chilli garlic sauce , sesame paste and saute till sauce thickens . 7. Remove from heat and stir in the vinegar. Add to stir fried rice or vegetables as required. NB- I added the sweet pepper to keep the heat less, however if you dare replace it with an extra 10 red chillies instead.Also for cooking with the sauce works well with coarse texture , however if you want to serve as dipping sauce blend it smoother. With the recent festivities and today’s fast paced lifestyles we are all indulging in rich processed foods,eating too much fast food and living very hectic stress full lives.We eat at odd times, sleep less, exercise less and consume too much caffeine. All these habits have a detrimental effect on our bodies.These bad habits break the body's natural power to combat illness as we introduce more harmful toxins into our body bringing on diseases as well as illnesses. Many people on realisation and guilt of over indulgence binge diet after festivities. These are short lived and rarely successful. The only way to help our bodies to detox is by cutting out fat and over processed food, cutting out ready meals and introduce a well balanced healthy diet consisting of fruits, vegetables, carbohydrates and proteins. Cutting out caffeine is a major part of this detox. A good way to do this is to introduce our bodies to healthy drinks such as green tea and fruit teas. There are many benefits of drinking Green Tea . 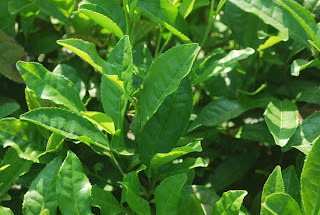 Green teas are made solely from the leaves of Camellia sinensis that have undergone minimal oxidation during processing. Green tea originates from China and has become associated with many cultures throughout Asia. Green tea is processed and grown in a variety of ways, depending on the type of green tea desired. As a result of these methods, maximum amounts of polyphenols and antioxidants are retained, giving maximum green tea benefits. Twining have introduced green tea to the western world. At their Tea Shop there is a vast selection of aromatic flavours, there is a taste to suit each individual palate . You can find flavours such as green tea with cranberry, ginger, blackberry and raspberry, pineapple, mango and many more. All these teas are refreshing, healthy and perfect to start your Detox. Furthermore at only £ 1.39 for a box of 20 teabags they are not only delicious, but amazingly good value for money too. Just think this is 20 cups of flavour some tea at only 7 pence a cup!!!! Royal dessert , crispy, flakey sweet pastry that melts in every mouthful. 1. Add the water and sugar in a heavy bottom vessel and bring to boil, cook the syrup till it reaches 1 thread consistency. Once it reaches that immediately take off heat and keep aside to cool. 1.In a mixing bowl, add the fine semolina, 2 tsp of ghee (in solid form) and work it up to result in crumb like texture. 4.In a smaller bowl, whisk the solid ghee and rice flour until they form a smooth paste. 5.Divide the dough into 5 parts and roll out thin puris out of each of those and cover them to stop drying up. 6.On each rolled out puri, apply the rice flour-ghee paste and layer them one on top ofeach other. 7. Once you have layered the last puri spread some more flour-ghee paste and roll the layered puris into a tight log like a swiss roll. 8.Cut the log into 1 inch pieces and roll out each piece with light hands into a thin puri and keep them covered until ready to be fried. 9.Heat the oil in a pan and allow to heat to medium hot. 10.Fry each of the puris, they should be fryed on medium heat and should crisp up but not change colour they should remain white. 11.Drain them onto paper towel until cool. 13. Sprinkle some pistachio and almond decoration on the pheni and place on some parchment paper to dry. 14. Store in an air tight container to keep crisp. NB- It is not necessary to coat these pheni is sugar syrup, they can just be dusted in icing sugar and served with badam milk instead. "The plot behind this attempt is to form 2 groups and make pairs with a blogger who will be your partner for that particular month. This happens every 2nd wednesday of the month. You will then go through your partner’s blog, select, choose, cook, click and post the recipe in your blog on Wednesday and vice versa. The following month you will have a new partner. This way not only you tend to your blog at intervals but also learn some new recipes along the way and get to know a lot of bloggers and make friends." This recipe is from Hema's Blog. Looking through her blog there were many recipes that I had never tried before, but finally I settled for the tomato chappati recipe you can find here. I had to make a few basic changes as I did not have any tomato gojju and as I had never prepared it before so I improvised. Healthy delicious chapattis with a subtle flavour of tomatoes. 1. In a bowl add the flour, salt, chilli powder, turmeric powder, 2 tablespoons oil and mix well. 2. Add the passata and start to mix it into the flour, add water if required to form a soft pliable dough.Cover and leave to rest for 30 minutes. 3.Divide the dough into walnut sized balls and using a little dry flour roll out a thin chappati approximately 6 inches in diameter. 4. Heat a frying pan and place the chappati on it, after a minute flip it over and brush the top side lightly with some oil. Flip the chappati over so oiled side is on the bottom. 5. Brush lightly the top side and once again flip it to cook this side too.Remove from pan and place in a foil wrap to keep warm. 6. Repeat for remaining dough. Serve tomato chappati with any curry or pickle of choice. You may like spinach paratha. We are are packed and ready to move on to our next leg with our journey in "Flavours of" Series 2 .We have enjoyed wonderful stay in Sri Lanka at Priyas blog and we are now resident in Singapore for the month of January to sample and cook this wonderful cuisine. Singapore cuisine hosts a world of flavours,with its rich multicultural heritage, it portrays an array of local cuisines such as Chinese, Malay, Indian and Peranakan among others. Due to the long history of immigration in Singapore, Yusheng as well as traditional Malay cuisine like The Laksa, Satay, and Goreng Pisang have all integrated themselves into the cuisine of Singapore.In addition to these flavours English and some Portuguese influenced Eurasian, known as Kristang is also commonly found. The cuisine is rich in flavour using aromatic spices such as cumin , cinnamon, coriander, cardamom,clove and nut meg. Other flavours and ingredients commonly found are pandan leaves, kaffir, lime,lemon grass, galangal and many others. Cooking in a wok is very common,and dishes prepared which incorporate many different types of rice and noodle. So if all this is tickling your taste buds and making your mouth water then please do check out these sites below for some mouthwatering recipes ideas. 1.Prepare a dish (vegetarian only - eggs allowed) . 3.Use of logo is not mandatory but usage is appreciated as it helps to spread the word visually. Event Round up ~Lets Cook for christmas red/ green event. Thankyou to every one who participated in this Festive event and made it so very successful. It received a total of 65 amazing entries . 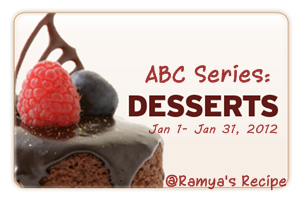 The month of January we have Lets cook with left overs event , to send your entries and find out more details click here.